Sherry FitzGerald is offering No 14 Gortard Avenue, Salthill, to the market for sale by public auction (unless previously sold ) on June 18 in The Ardilaun hotel, Taylor's Hill, Galway, at 3pm. Size is 143.9sq m (1,549sq ft ) approximately. No 14 Gortard Avenue is a quality detached dormer style residence on a large site situated at the end of a quiet cul de sac. The area is a mature, settled, location with established services and is considered a prime residential location within the Galway market. No 14 has remained in the same family since it was first built circa 1969. The house offers spacious, well proportioned, rooms including two bedrooms on ground floor and two bedrooms on first floor. The property would benefit from modernisation but offers quality accommodation and, due to its size, has scope for future development. There is off road parking to the front and side, with a garden in lawn to front and vehicular access to side. There is a large private mature rear garden. The BER is G on BER cert no 107532889, with an energy performance indicator of 542.31 kWh/sq m/yr. Gortard is located in 'Old Salthill' in a very mature area. The area offers easy access to schools, public transport, shops, and Salthill Promenade. The end of cul de sac location offers privacy and tranquillity. Detached properties of this style in such a quality location very rarely come to the market. Viewing is highly recommended to appreciate what No 14 Gortard Avenue has to offer. The solicitor with carriage of sale is Brendon Burke solicitors, Monterey Court, Salthill, Galway, phone 091 704864. 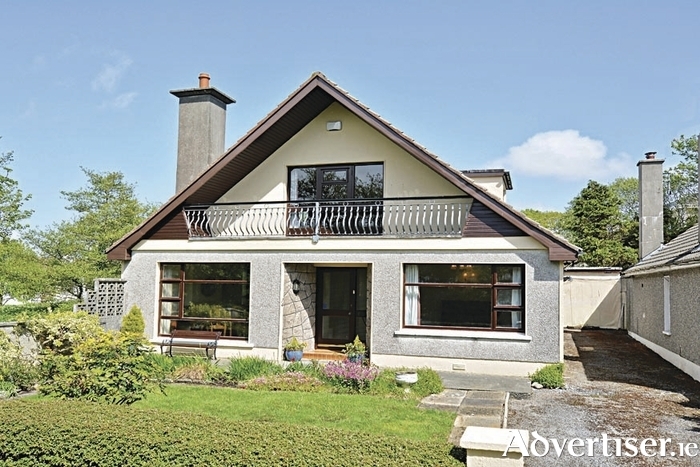 Asking price is €435,000 and viewing is recommended. Open viewing is scheduled for Saturday May 30 from 12 noon to 12.30pm.